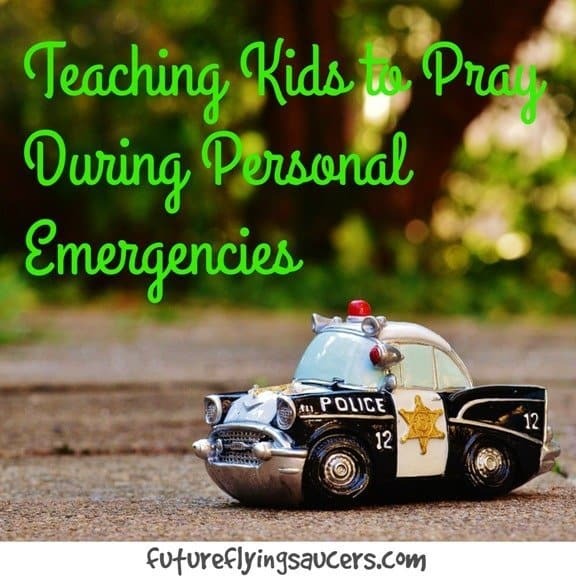 Teaching kids to pray during personal emergencies will help children to boldly face whatever comes their way. We would all love to think that kids don’t have to deal with personal emergencies like adults. While some of the situations they consider to be personal emergencies may look different than they do for most adults, they still experience them. The types of “emergencies” that I hear kids dealing with on a regular basis can range from minor inconveniences to extreme situations. School projects/tests, losses in sports, and other extra-curricular activities might seem minor to adults, but are huge to kids. Parents fighting/divorce, lost or dying pets, and sicknesses and deaths of loved ones might be a little more severe.Since personal emergencies come in many different forms for kids, I like to focus on teaching them how to pray against some of the negative feelings that can come from these situations. Kids can experience a lot of stress, anxiety, loneliness, and in some cases depression while dealing with these situations. We can teach them to pray against these feelings using God’s Word. It is a great idea to pray against all of these negative feelings, but we must also teach our kids to pray that God will fill them up with positive feelings to replace the negative ones. We can teach them to pray that God would comfort them and fill their hearts and minds with peace. It is important to explain to kids that they will feel calm, restful and free from trouble when they experience peace. Teach them to pray for God’s protection and provision in the situation they are experiencing. Most importantly, teach them to pray about putting their full trust and faith in God to help them through it, instead of trying to figure it out on their own. It is our responsibility as adults and leaders in our kids’ lives to teach them how to pray through any situation they might face. If we teach them how to turn to God when a crisis appears, we will raise up adults who naturally turn to prayer first. 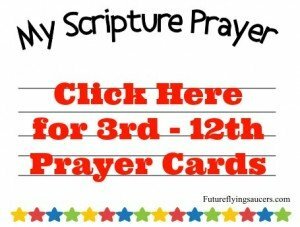 Click on the image below to print FREE PRAYER CARDS. Choose the age-appropriate printable for your children and print on card stock. 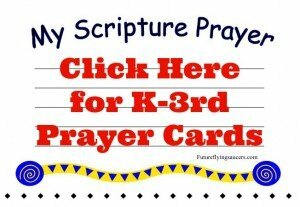 Then use one or two of the verses listed above to help your student pray during personal emergencies. Encourage your children to not just read or say the words, but to pray them from the heart. Click on the image below for more articles in this series. Hi, I’m Corinne! I’m a Children’s Pastor excited to impact the world through teaching kids to know Christ- that’s my passion and what drives me every day. 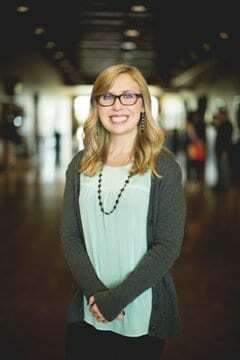 I was born and raised in Kansas City, MO by a hard-working single mom who brought me to church every time the doors were open. I was called to be a Children’s Pastor when I was ten years old and have been involved in children’s ministry since I was in middle school. I am currently making a transition into the Children’s Pastor position at Desert Springs in Chandler, AZ. My website is kidmincorinne.com and you can also find my facebook page KidMinCorinne.